With the Super Nintendo Mini being announced this week, I thought I’d take a look back on a game that will never appear on that console’s list of games. It’s a game that has been all but forgotten, and will likely never be resurrected. It’s a game that I loved a great deal, despite never actually owning. 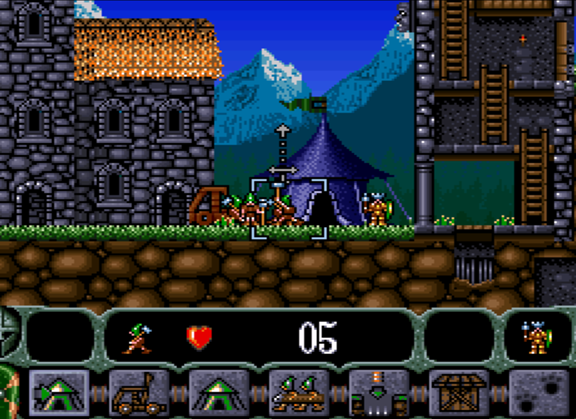 That game is King Arthur’s World, a mix of Lemmings and RTS gameplay that, for various reasons, checked all the boxes for what I was looking for in a game. I never owned it, because I never saw it in stores. My only access to the game was a rental copy that was available at my local video rental shop, back in the day (wow, I can’t remember the last time I even stepped into a rental store). My brothers and I would pool our allowances and regularly rent this game (it was one of their favourites, too), and play it as much as humanely possible within the three days or week that we rented it out for. Then, as the Nintendo 64 was released and the video store was clearing space for a new wave of game rentals, it was announced that it would be selling off its old SNES games. We rushed down to the video store to finally buy the thing. Imagine our utter disappointment to find that the game was gone. Sold. Out of our lives forever. We were so upset that we sold the Super Nintendo the very next day. Actually, we didn’t - we sold it a little later on because it was the only way that we were going to be able to buy a Nintendo 64, and we just had to have that shiny new toy. As good as the N64 was, that was a mistake, and years later I got around to buying a SNES and started to painstakingly trawl eBay for the classic games I have fond nostalgia for - and try out other SNES games that I was always intrigued with but didn’t have the money or opportunity to try. Against all odds I even managed to find a copy of King Arthur’s World not long ago. It wasn’t cheap, but it was worth it, because the moment I put that game back in the SNES I was won over all over again. Not only is this game good nostalgia, but it also happens to be a game that has held up really, really well. To describe the game will make it all sound a bit dry, but here goes; King Arthur’s World is broken up into a series of levels, where the goal is to help the King navigate from one side of the level to the other. Along the way are numerous traps and enemies. Now, the King himself is a reasonable fighter, but he’s one man, and it’s easy for him to be felled by arrows or swamped by infantry. To even the odds, he can summon units of allies that will do the fighting for him. These allies range from archers and infantry to more specialised units, such as explosive specialists, that can detonate barrels of gunpowder to blast holes in walls, and sappers that can create new climbing platforms and fill in pits. So each level became a mix of puzzle and action game in which you’d use these units to clear a safe path for the King to then wander on over to the exit and complete the level. It all starts out easily enough, but about midway through the enemy shifts from being other humans to goblinoid forces, and at that point King Arthur’s World becomes downright nasty, with monsters popping up with all kinds of hideous powers. As difficult as it was, it was also just the kind of challenge that I liked getting stuck into, because the light strategy elements led themselves to experimentation, and I did like playing general in strategy games. What also helped was that this game has such a simple sense of style, but one that is so incredibly appealing. The midi music of European court-style music, for example, sets the mood of a King Arthur-style fantasy game just perfectly. Then, supported by the bright, cheerful, and cute character designs, and I’d find myself getting frustrated at a particularly tough level, but constantly reaching for the retry button. The game even had a password save system, which was quaint, even back on the Super Nintendo. I had a book that I filled with passwords, but then managed to lose at one point, and boy was that process re-hiring the game a bunch more times just to get back to my previous place in the game. 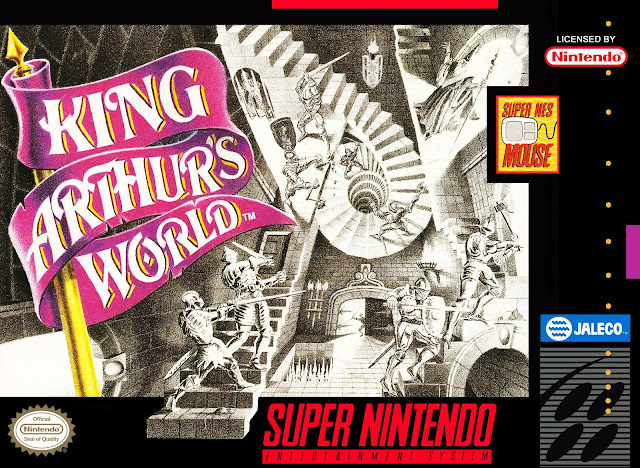 Unfortunately, King Arthur’s World is the product of two very defunct companies now. Argonaut Games was the developer (the very same developer that created Star Fox 2, which is getting a release for the very first time on the SNES Mini). Argonaut Games had an illustrious history reaching right back to 1984, but closed up shop in 2004 soon after releasing Malice; a bomb of a game on PlayStation 2 and the original Xbox. The publisher, meanwhile, was Jaleco, a major Japanese publisher from back in the day, but itself now defunct after its parent company went bankrupt. 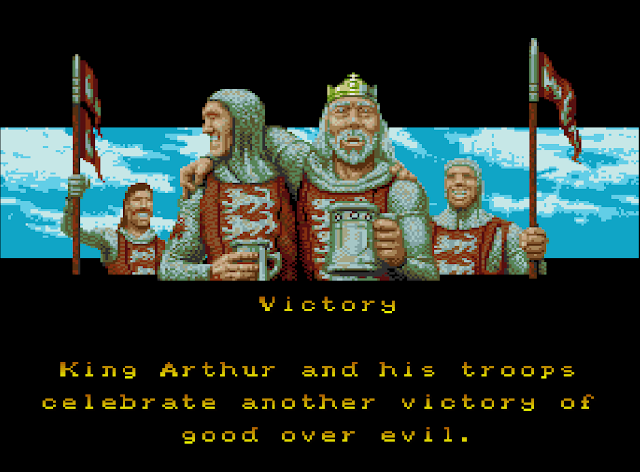 Who knows where, if anywhere, the King Arthur’s World IP now lies. That’s why we don’t see it on Virtual Consoles and it won’t be on the SNES Mini; the rights for it likely exist in an utter limbo, and it was never mainstream enough to be worth digging it out of that hole. So, as much as I’d love for the idea that it could some day return, it’s likely that won’t be the case, and this SNES game is the only example from what could have been a very entertaining franchise, had it been let develop.